The following positions will be declared vacant and nominations accepted at the AGM. All positions are for a two year period. In addition, the position of Treasurer and General Member (Special Events) will be declared vacant due to the current incumbents tendering their resignation. These positions are for a term of one year. As per Constitution Clause 8.5 nominations for the Management Committee shall be made in writing by a CBA member* on the approved Nomination Form and lodged with the Secretary at least seven (7) days prior to the date of the AGM. The written consent of the person nominated is to be lodged with the Secretary at the same time as the nomination. Alternatively as per Constitution Clause 8.6, in the event of insufficient nominations being received for a particular office, nominations may be called from the floor at the AGM after all other elections take place. Either written or verbal consent of the person being nominated is required at the meeting. Under Constitution Clause 8.4 a minimum of one (1) year must be served as a General Committee Member to be eligible to nominate for an Executive Position (President, Vice President, Secretary or Treasurer). Any other correspondence to be tabled at the AGM must be in writing and received by the Secretary no later than seven (7) days prior to the AGM. The CBA Constitution is available for review at www.craigieburneagles.com.au. 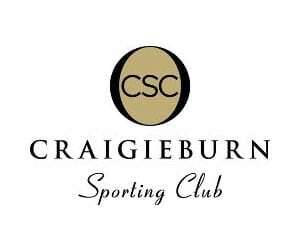 All correspondence and forms may be lodged via e-mail to secretary@craigieburneagles.com.au or deposited in the Secretary mailbox at the Craigieburn Sports Stadium. Copies of General Committee PD’s can also be viewed by request to the Secretary.